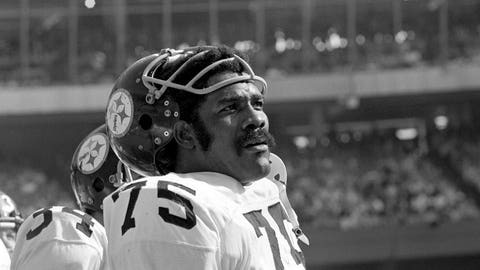 Many of you may remember "Mean" Joe Greene shed his moniker for one iconic commercial in 1979. According to AdWeek, "the 60-second spot will air during the NASCAR Darlington Southern 500 race in South Carolina." Greene spoke with FOX Sports NFL Insider Alex Marvez about the commercial on Monday. "I get a little emotional when I see it," Greene told Marvez and co-host Gil Brandt on SiriusXM NFL Radio. "I had no idea it would have the life that it has had. But shortly after I saw it for the first time during the (1979) baseball playoffs, I said, ‘That’s not bad.’ I liked it. "The next morning after it aired, I went into the locker room and my teammates gave me a little cheer. They liked it, too. During those days, a lot of us did local commercials and sponsorships. The commercials were pretty bad and we got kidded a lot in the locker room about them. This was a departure from what most of us were getting from those local spots."